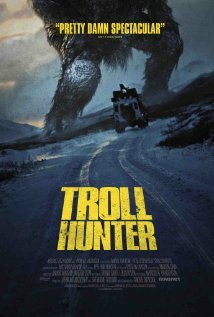 There's a new movie called,Troll Hunter, due out near the end of 2011. It is Norwegian and it's original title is called, Trolljegeren. I have posted it's official trailer near the bottom of this page if you are interested. It's in the action, adventure, drama, and horror genres. A group of students investigate a series of mysterious bear killings, but learns that there are much more dangerous things going on. They start to follow a mysterious hunter, learning that he is actually a troll hunter.